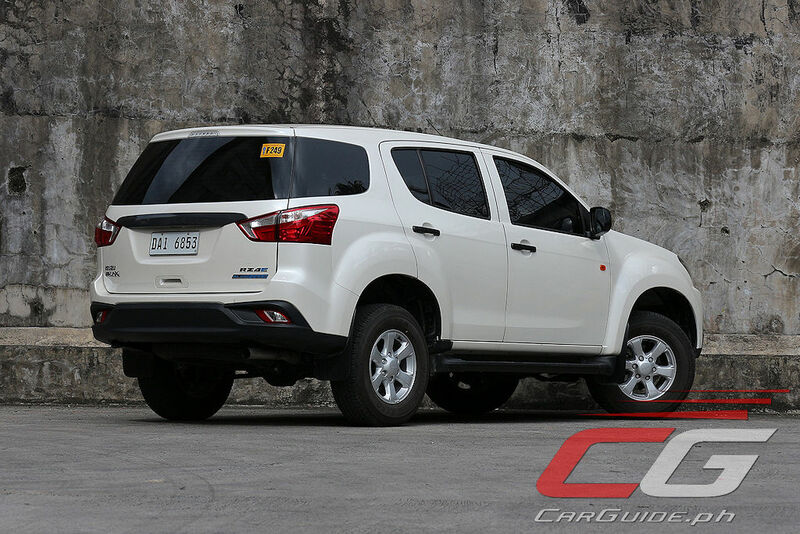 The Asian Utility Vehicle or AUV has a special place in the Filipino family’s heart. For decades, it’s been the quintessential “practical car.” Alas, the country’s shift to Euro 4 emissions last year meant the end of the road for these 7-, 8-, or even 10-seaters. 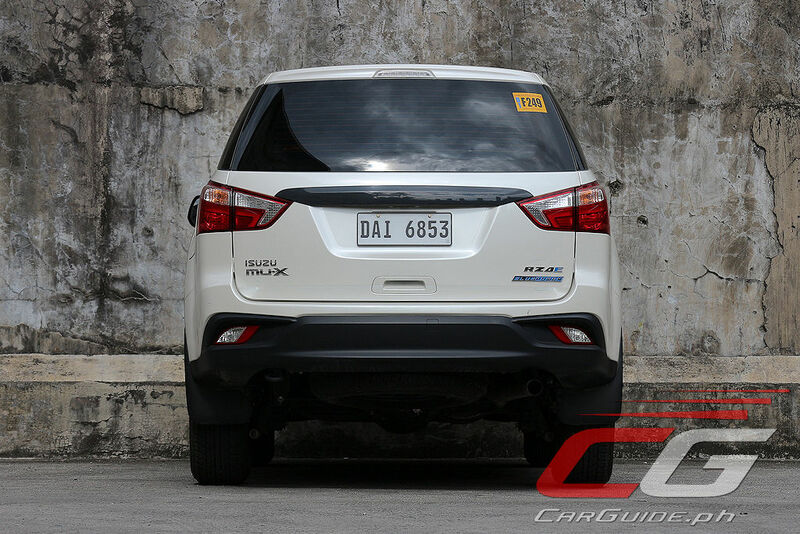 Without a direct replacement, AUV buyers had to settle for something smaller like a small MPV, while car companies heavily reliant on them, like Isuzu, saw overall sales nosedive almost 45 percent. In the intersection of buyers’ clamor and Isuzu’s need to prop up their numbers, the inevitable happened. 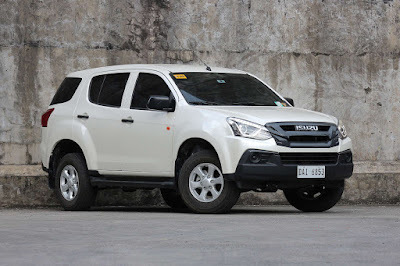 The result is the 2019 Isuzu mu-X LS A/T—the mid-sized SUV that’s priced like an AUV. Let’s get one thing out of the way: the mu-X LS isn’t priced to directly replace the AUVs of yore. 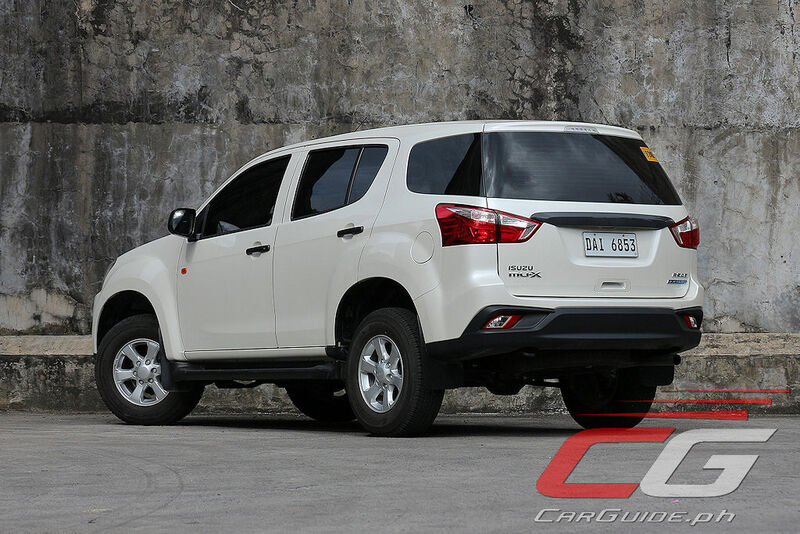 At P 1,300,000, it still represents a substantial increase over the highest-grade Isuzu Crosswind Sportivo. However, barring a Lazarus-like resurrection, this is the closest thing they’ll have. And it isn’t too bad. For a base trim, the mu-X looks pretty dope. Understanding that Filipinos love looks, the mu-X LS looks decent. At a glance, it doesn’t look that far removed from the upper trim LS-A, especially since the most attention-grabbing detail is the bi-LED projector headlights with daytime running lights. Of course, a couple of seconds later, things like the absence of any chrome trimming becomes obvious. 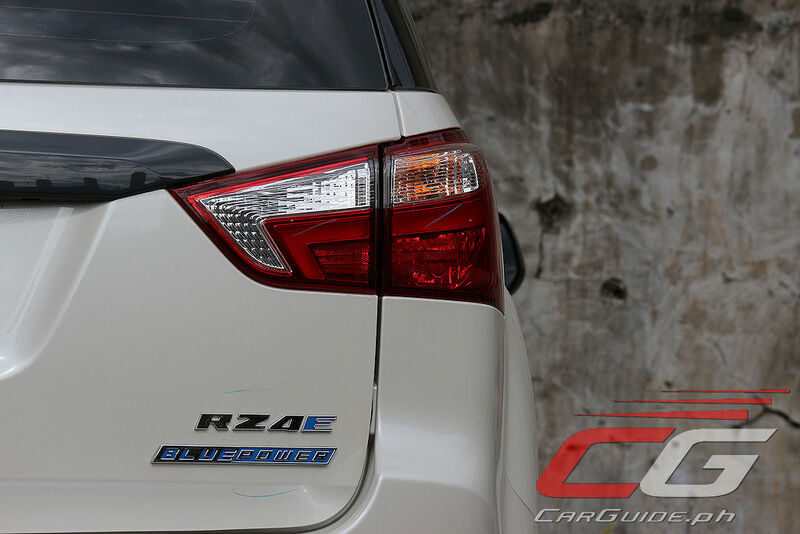 Then, there are other obvious omissions like the blacked-out B-pillar and rear wiper. 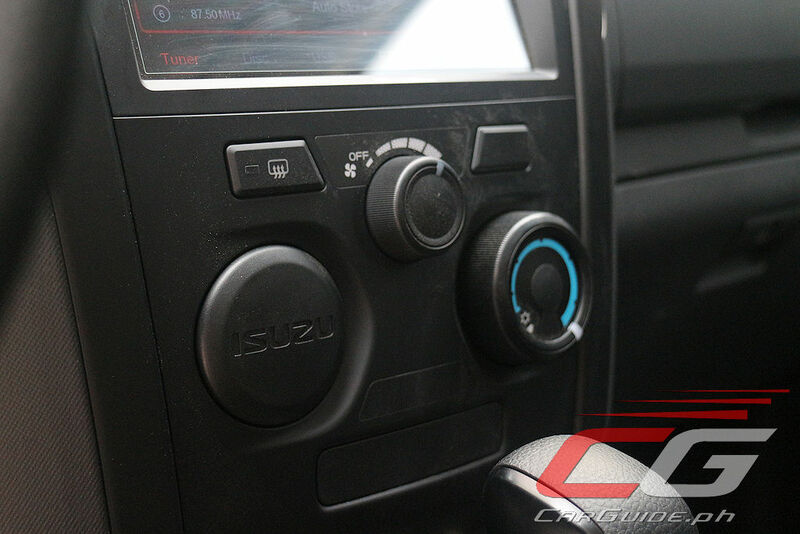 Oh, and there’s the use of “Material Black” on the cladding which is just a fancy term coined by Isuzu to mean unpainted plastic. Indeed, this SUV is no frills, but it’s also not something you’ll be embarrassed to be seen driving around in too. 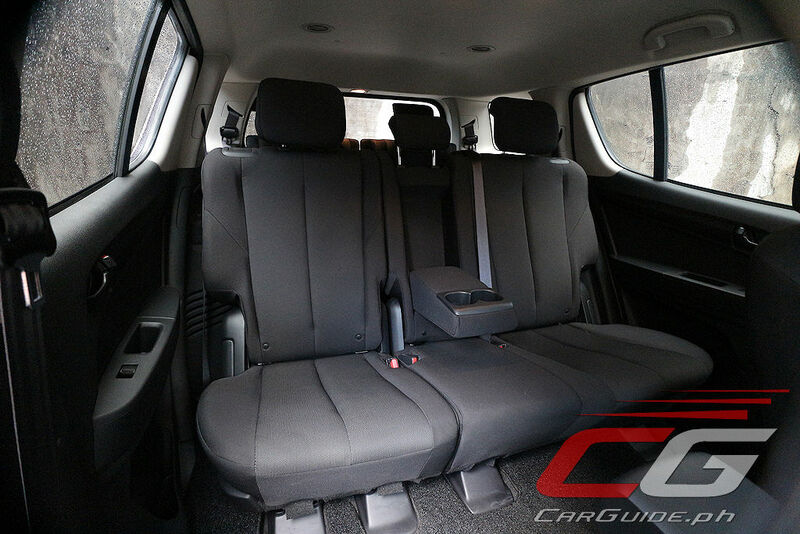 Inside, the mu-X LS tells the very same story of being a solid, comfy 7-seater SUV. 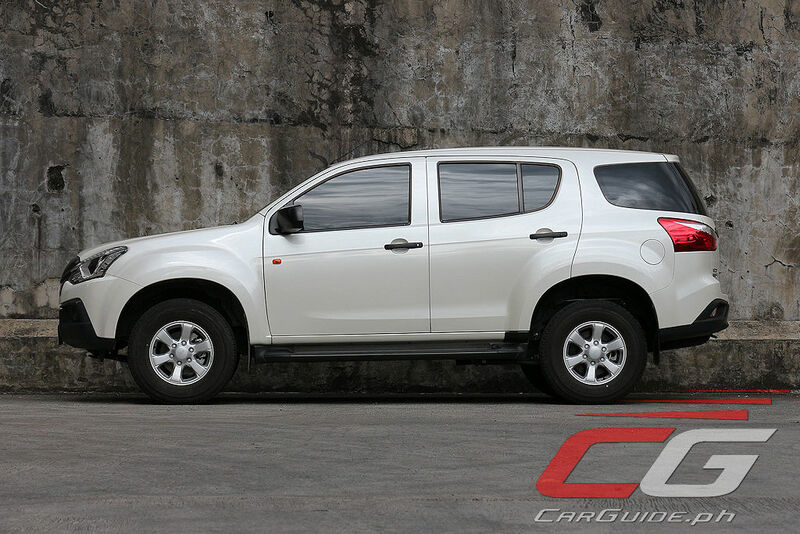 It plays the role of families looking for a practical do-anything, carry-all vehicle. 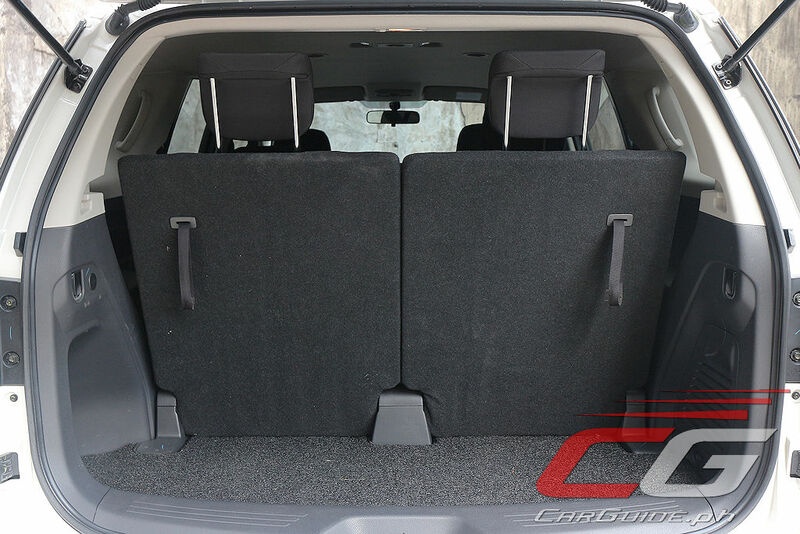 Not only are there storage bins galore, but Isuzu says this has the best headroom in the second- and third-row among the competition. Barring having to whip out a ruler and actually measure the dimensions, subjectively, the passengers who find themselves at the back are treated kindly. 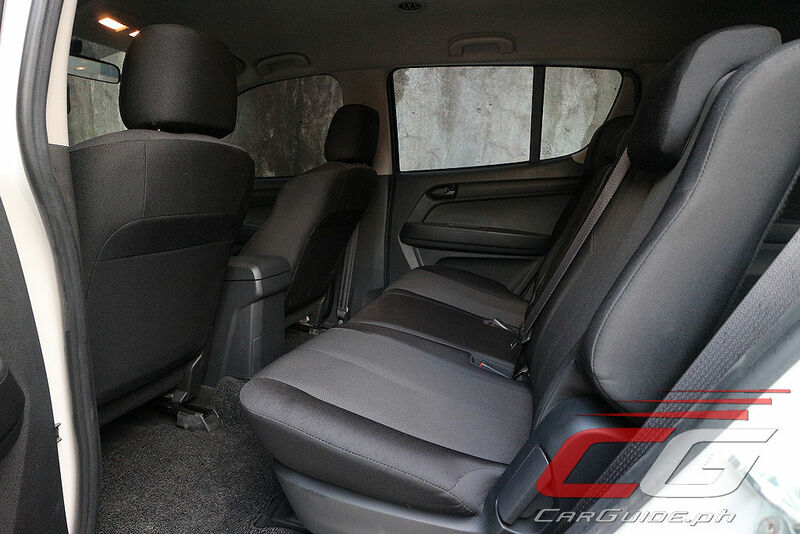 Aside from that, the seats fold flat (well, almost flat) accommodating balik-bayan boxes, bicycles, and if need be, furniture. 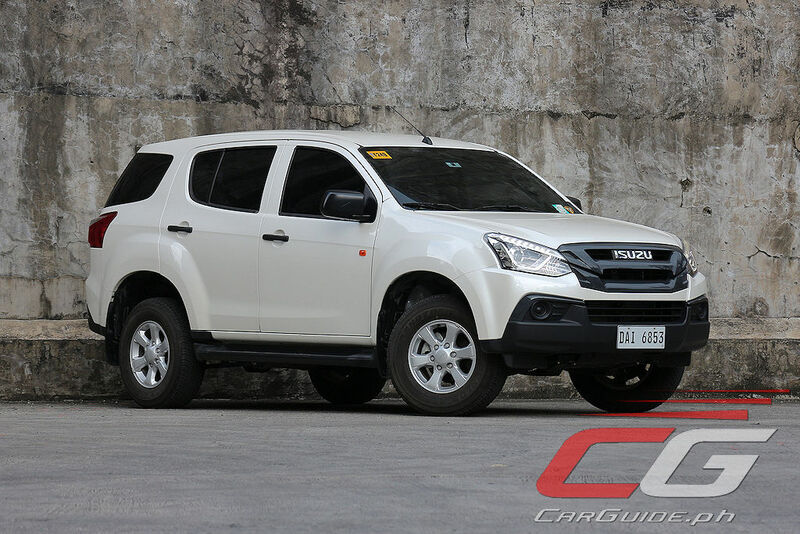 Being P 295,000 more affordable than the LS-A AT, something had to give and, in this case, the comfort and convenience package gets trimmed considerably. 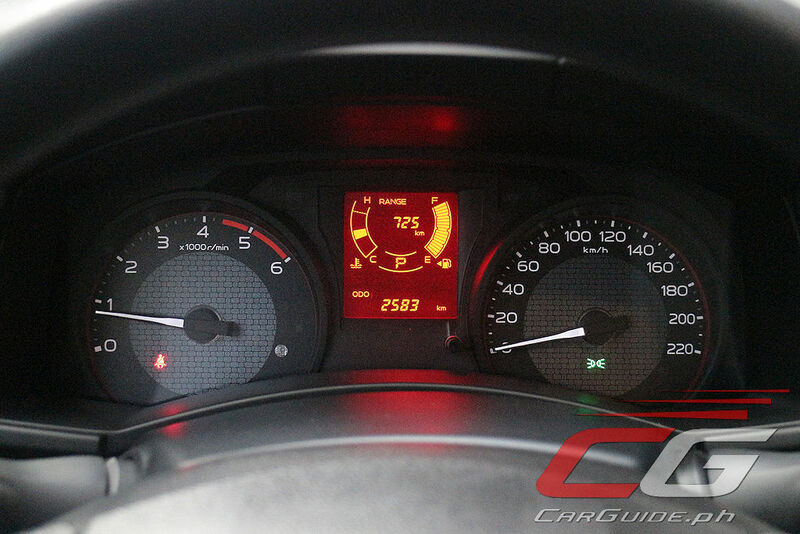 Not only does it remove all the chrome and soft-touch points, but you also end up with simpler-looking gauges (it’s still fitted with a multi-function trip computer, mind you). 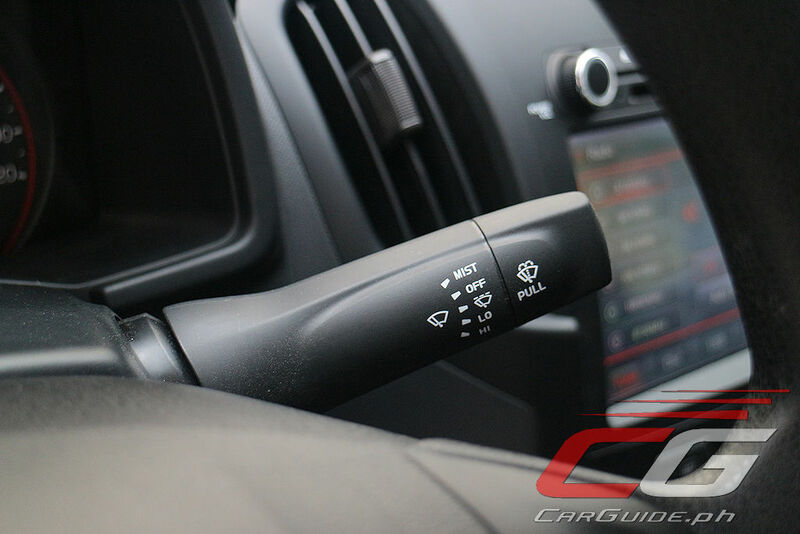 Also shown the door are steering wheel controls, tilt adjustable steering column, variable intermittent wipers, adjustable air flow, and get this, even power adjustable side mirrors. That’s right, it’s 2019, and to adjust the mu-X LS’s side mirrors, you have to nudge the mirrors into place FROM THE OUTSIDE. It’s funny, because this vehicle manages to keep a touchscreen infotainment system with offline GPS navigation and 6 speakers. Perhaps, getting entertained is a higher priority for families than a convenient way to adjust for visibility? Weird. 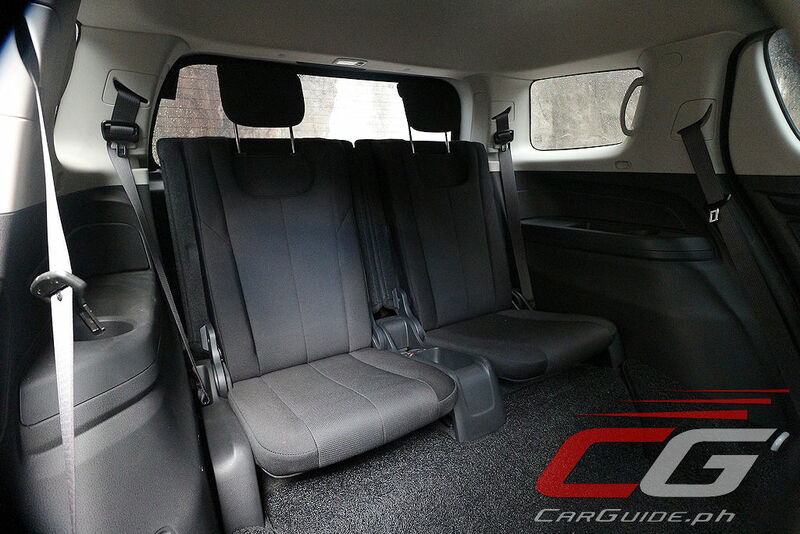 Oh, and the seats are finished in what Isuzu calls Jersey & Tricot material. It feels less plush than the ones used on the higher-end mu-X, but at least they’re well-wearing and easy-to-clean. 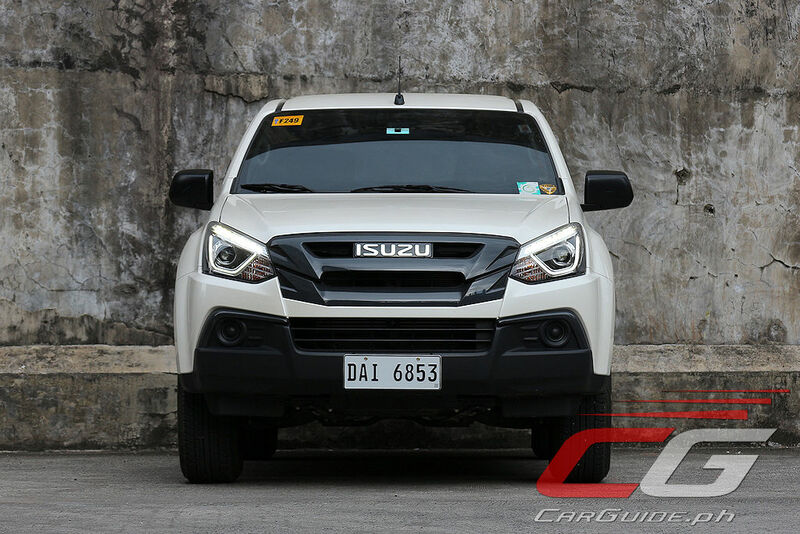 Despite some short comings to the mu-X LS’s interior, at least, Isuzu’s nailed it down mechanically thanks to the use of the 1.9-liter RZ4E engine. 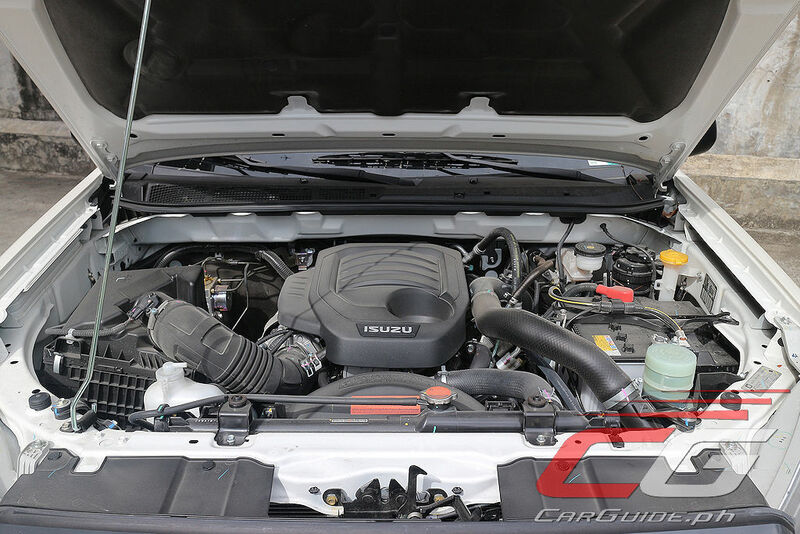 Compared to bigger-engined mid-sized SUVs, this engine is much quieter. There’s still a gravel-like sound here and there, but beyond that, it’s well-behaved. When treated as a daily driver, power comes in smoothly with precise and concise shifting from its 6-speed automatic. The gearbox is conservatively tuned, shifting as early and as unobtrusive as it possibly can. For drivers who like to push a bit more, the RZ4E engine does reach its limitations quite early. As peak torque comes in, there’s an initial feeling of surge, only to drop off soon after that. 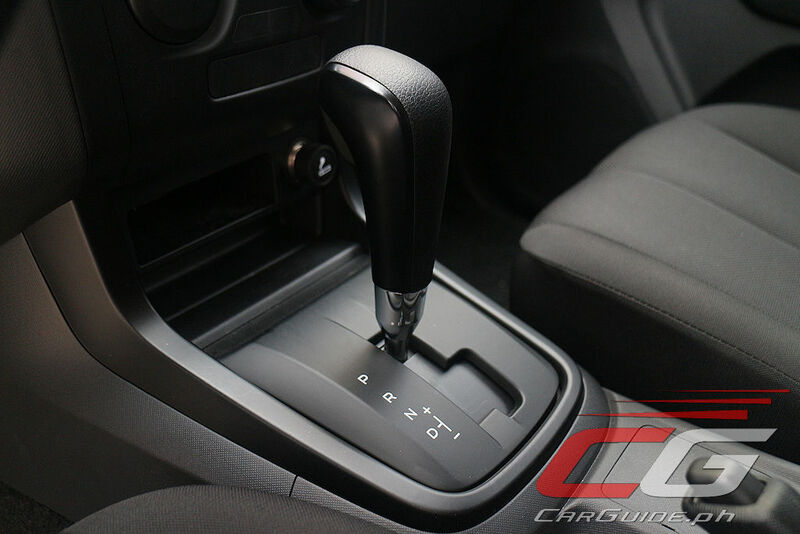 The transmission tries to keep up, shuffling its ratios up or down, but because it shares the same ratios to the 3.0-liter (except for its higher final drive), it just ends up confused. Don’t get this mu-X wrong though, there’s usable power if you wring the engine, but pedal-to-the-metal driving is not what this SUV’s designed for. 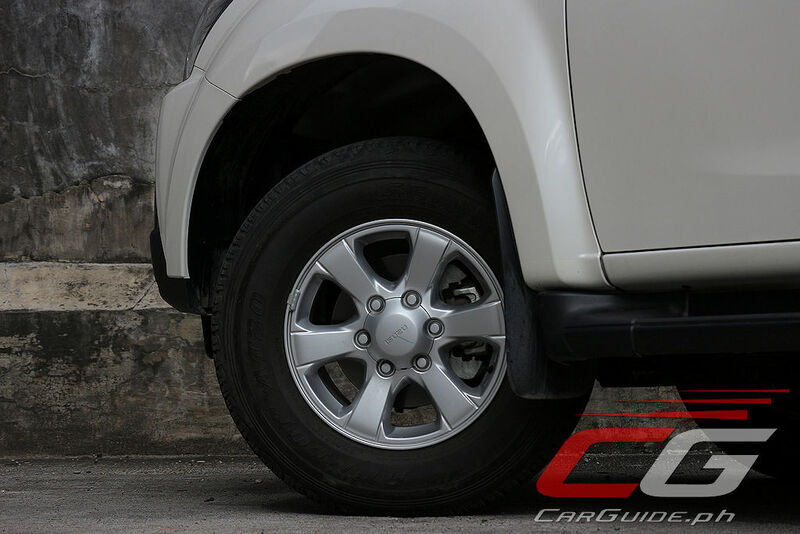 Thanks to its lighter curb weight, the mu-X LS also exhibits higher fuel economy figures when compared to the already stellar mu-X LS-A. A two-week drive, mostly done in the city resulted in 11.76 km/L, a further 5 percent improvement than the upper variant’s 11.11 km/L figure. Also, the mu-X LS feels much lither. It’s still not the sharpest knife in the cupboard, but there’s more agility here than the already better-than-the-3.0-liter LS-A. The hydraulic power-assisted steering is noticeably lighter here too, undoubtedly influenced by the smaller 16-inch rims. Oh, and at least Isuzu hasn’t taken safety off the table. Aside from having four-wheel disc brakes, this model’s got dual SRS airbags as well as ABS with EBD. 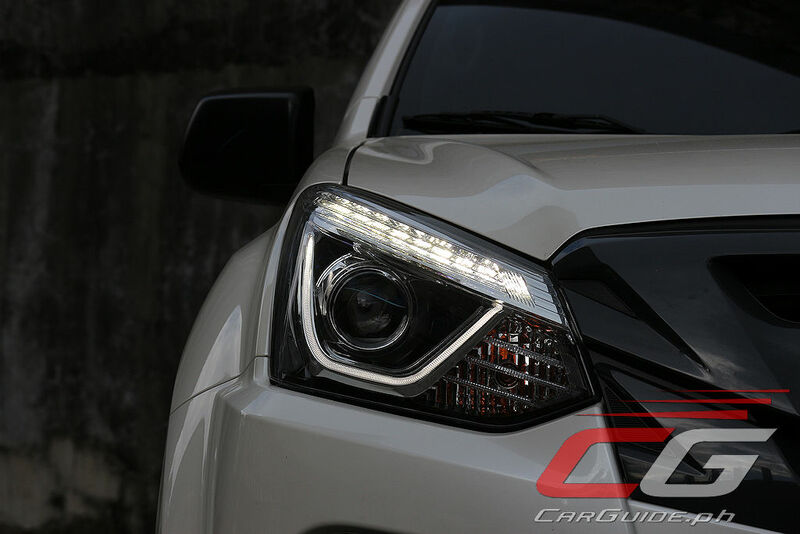 The only thing missing are reverse sensors or a backup camera—things which are easily rectifiable in the aftermarket. The 2019 mu-X LS doesn’t have the same bells and whistles the last generation of AUVs had, and for some, that sounds like a downgrade. 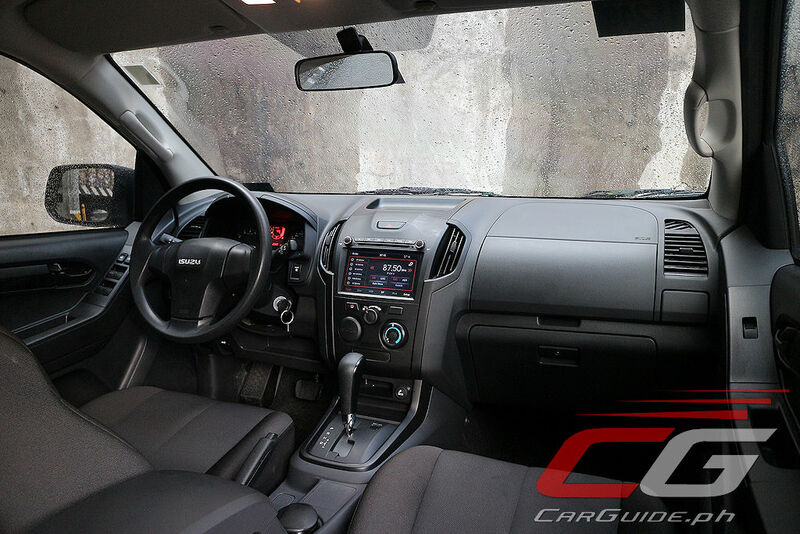 It doesn’t have the same chrome wheels and fancy A/V system some buyers look for, but for the more sophisticated set, it comes across as a solidly-built vehicle that meets the modern family’s needs. 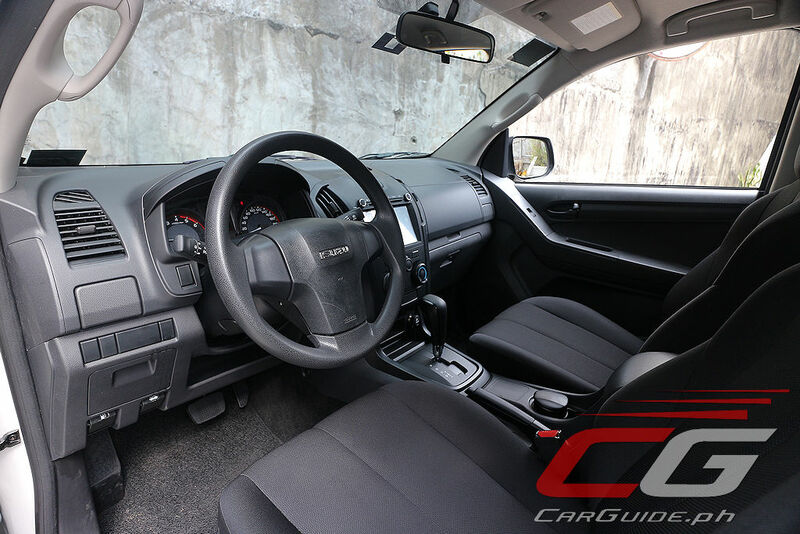 In the bigger picture, it’s the most honest-to-goodness version of Isuzu’s SUV, but in the grander scale of things, it offers enough performance, roominess, and safety to keep the typical Filipino satisfied. If the additional PHP 295K buys all the features lacking from this one and you can afford to shell it out, go for that instead. 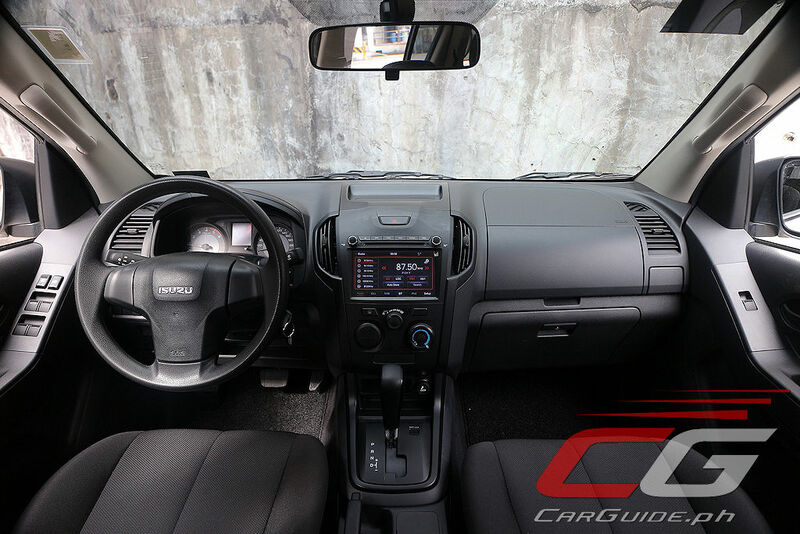 I could live without the additional air-conditioning controls, but for a car at PHP 1.3M without electronic side mirrors, come on now. Even my first car (a 1989 Nissan Sentra) had a joystick to control its side mirror. And that was 30 years ago. Yup thats funny. 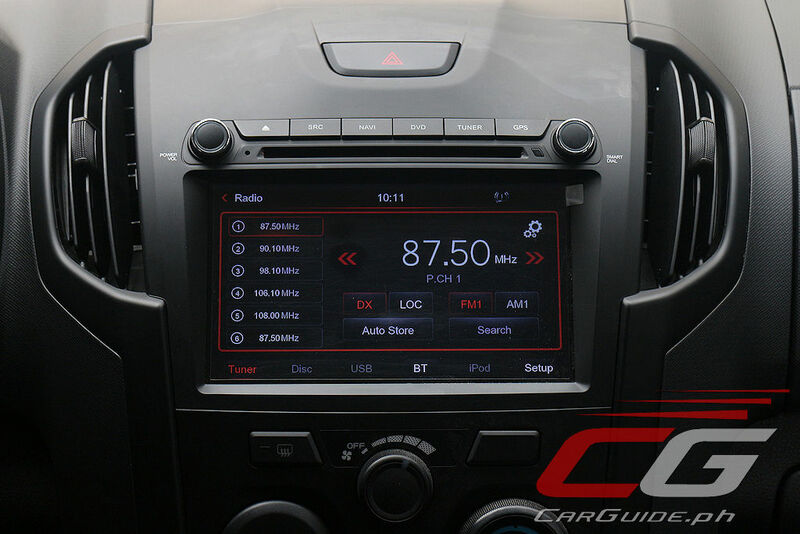 You have a touchscreen inside. And also a touchscreen outside. Because you need to touch the side mirrors physically to adjust them. Cheers! 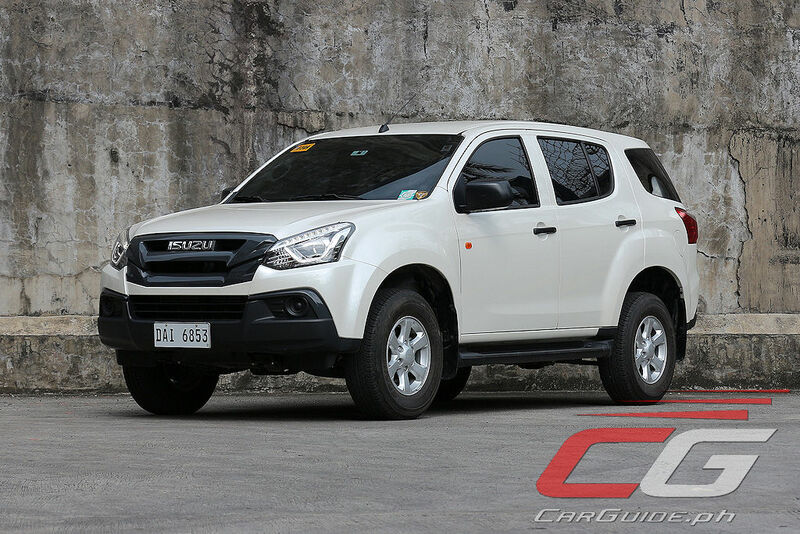 It seems like HARI has started to influence Isuzu Phils in this barebone category.